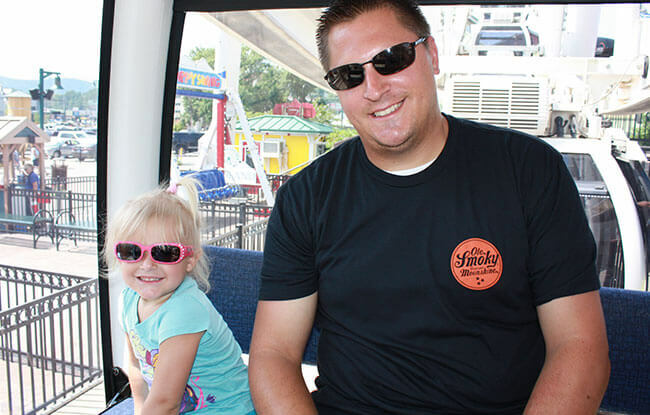 Daytripping at The Island in Pigeon Forge, TN - Shop, Eat, and Play! 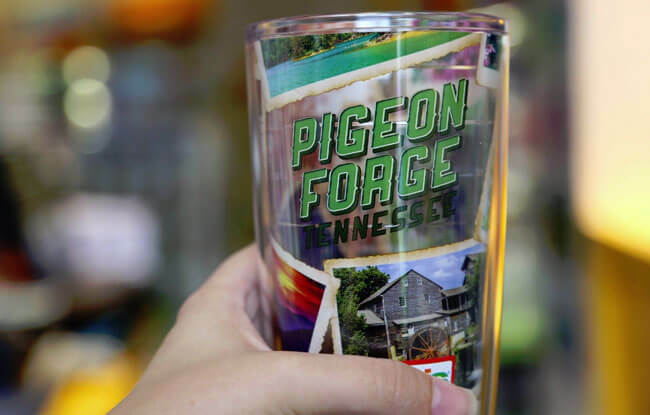 The Island is a wonderful place in Pigeon Forge to eat, play, shop, and enjoy the beauty of the Smokies. If you’re passing through the area, I encourage you to stop for a bit, even if it’s only for a cup of coffee at the Margaritaville Coffee Shop. The Island is packed with interesting and fun things to do! You might find yourself wanting to take a trip to The Island to walk around and relax at the fountain to enjoy the synchronized water display, or to listen to live music from the Ole Smoky Moonshine Distillery. Below are a few things I recommend you explore. 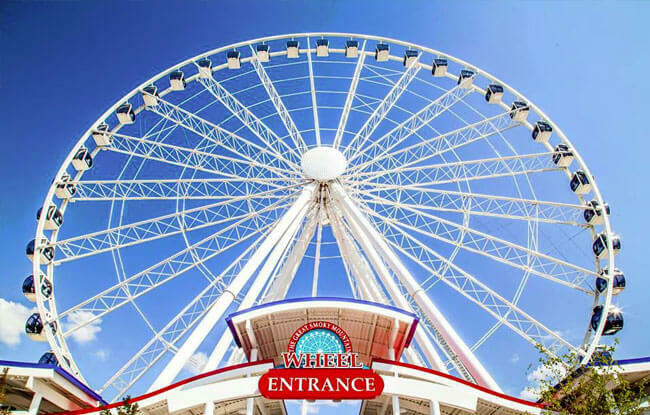 The iconic Great Smoky Mountain Wheel is an excellent way to get a unique view of the Smokies. The 200-foot tall Ferris Wheel accommodates up to eight people in each gondola and is air-conditioned. Take a ride in both the day and the night for a special price. You can buy a souvenir photo to take with you after you enjoy your ride. If you are looking for more fun in the area, check out The Island Ropes Course or Shooting Gallery. They also have their arcade, which is adjacent to The Wheel’s ticketing center. For you metal sign enthusiasts, this is the shop for you. 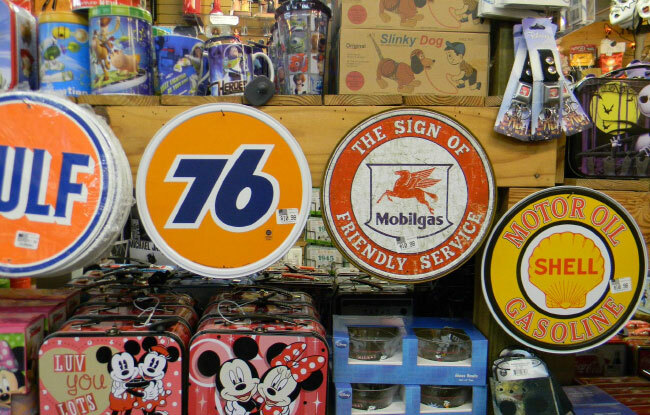 Buckboard Too!’s inventory of signs covers different subjects, such as farm equipment, humor, cars, and more. You’ll find no shortage of nostalgic items and toys. If you’re looking for Funko Pop! vinyl characters, don’t miss their extensive collection. They also have a location in Gatlinburg that is being renovated from smoke damage due to the wildfires. The outlet store is a great place to grab some harder-to-find branded items. Tervis tumblers are made in the USA and are freezer-safe, dishwasher-safe, and microwave-safe. They also come with a lifetime guarantee. It’s at the end of the Market Street Shops area, closest to The Wheel. The candy buffet has so many selections to pick from, which are available for purchase by the pound! Your sweet tooth will thank you. Some of the unique things you’ll find in the candy buffet are huge gummy snakes, chocolate-covered gummy bears, sea salt caramels, and candy rocks. 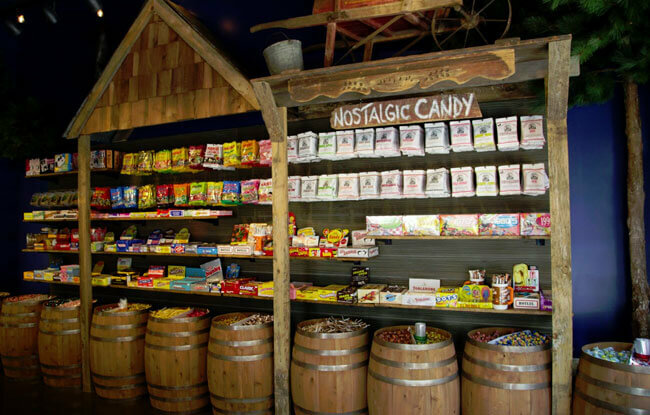 The store also offers caramel apples, bear claws, fudge, moonshine bars, saltwater taffy, and popcorn, which is available in a refillable bucket. You’ll also find some novelty and nostalgic candies available for purchase. If you buy any tin, you can fill it with candy they have in barrels or with taffy for free. To satisfy those taste buds that are craving something savory, head on over to The Beef Jerky Outlet. Just ask the staff for a sample of any of the jerky available that you’re interested in. 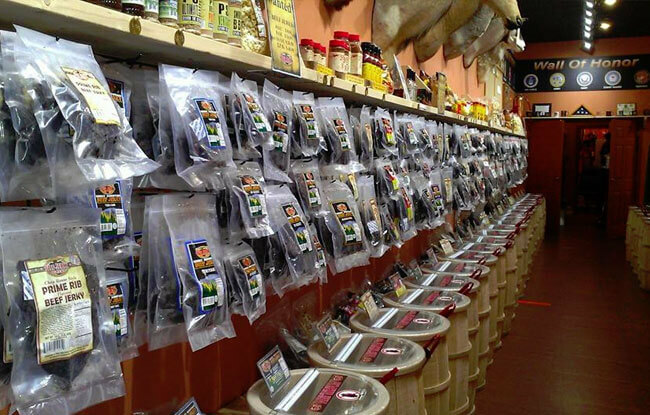 There are so many flavors and varieties of jerky, and they aren’t all beef! They offer some unique meats like ostrich, alligator, elk, and buffalo. Moonshine fans may want to check their unique flavors, such as Corn Whiskey and Sweet Bourbon. Need some more spice in your life? 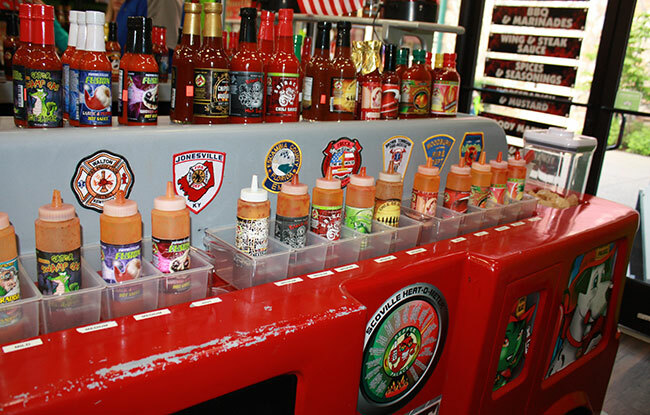 The Pepper Palace offers a variety of rubs, salsas, sauces, seasonings, and spices that you can sample on-site to get just the right amount of heat you’re looking for. They’re also home to the world’s strongest horseradish. Just be warned, you might need to sign a waiver! They also offer a series of BBQ sauces made with Tennessee whiskey in flavors like Bourbon, Chocolate Cherry, and Mandarin Orange Chipotle. Besides the Pigeon Forge location, the Pepper Palace also has a location in Gatlinburg. Margaritaville’s coffee shop, restaurant, and hotel will make you feel like you’ve stepped into paradise. You’ll enjoy a laid-back atmosphere and feel like you’re at an island destination right in the middle of the Smokies! The coffee shop is right off from the hotel and features freshly made brews that rival competitors’. 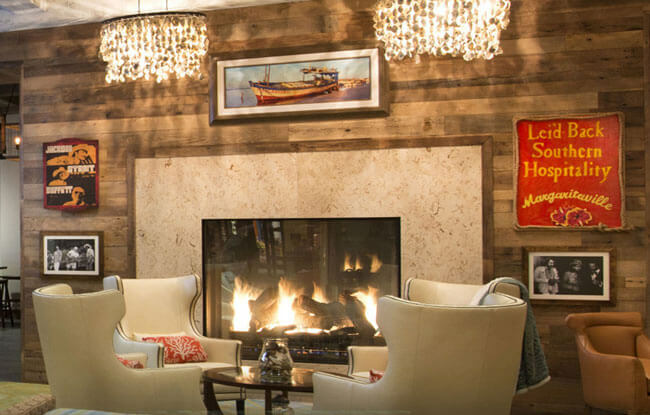 The Margaritaville Island Hotel offers private balconies and fireplaces and a frozen drink maker in every room, so you can make your own signature beverage. The restaurant has its own fire pit and concert stage for live music. To learn more about The Island, check out the brochures we have available on MobileBrochure.com and view the official website. Remember, you can register and login to save brochures directly to your own suitcase on MobileBrochure, where you can reference them later.